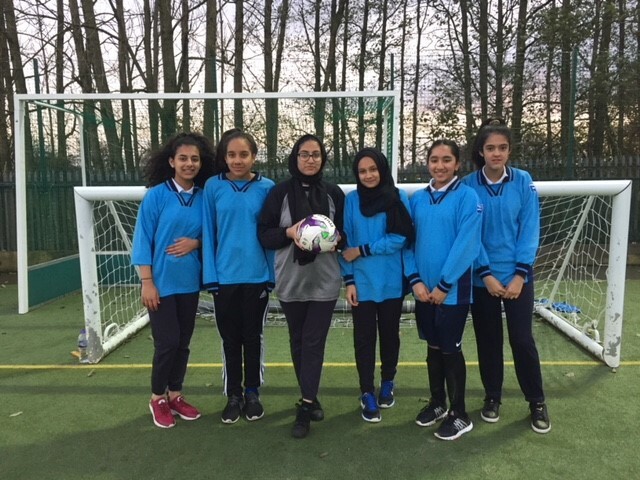 The girls who represented The Derby’s year 9 football team in the Bury Schools Tournament at Woodhey High School shone brightly as they showed drive and determination in abundance. Absenteeism of some of the stars of the team left the opportunity for other girls to step up to the challenge. They responded by showing what the spirit of the game is all about, answering the call, and responding with a gargantuan effort. Despite losing their games they knew they had seized the opportunity to participate, proud to represent The Derby and be part of the team. There are some great lessons here for others to follow. Left to right…Masooma Fatima, Thaminah Gopal, Amina Anwar, Areeba Irfan, Hana Arif, Sara Jan.